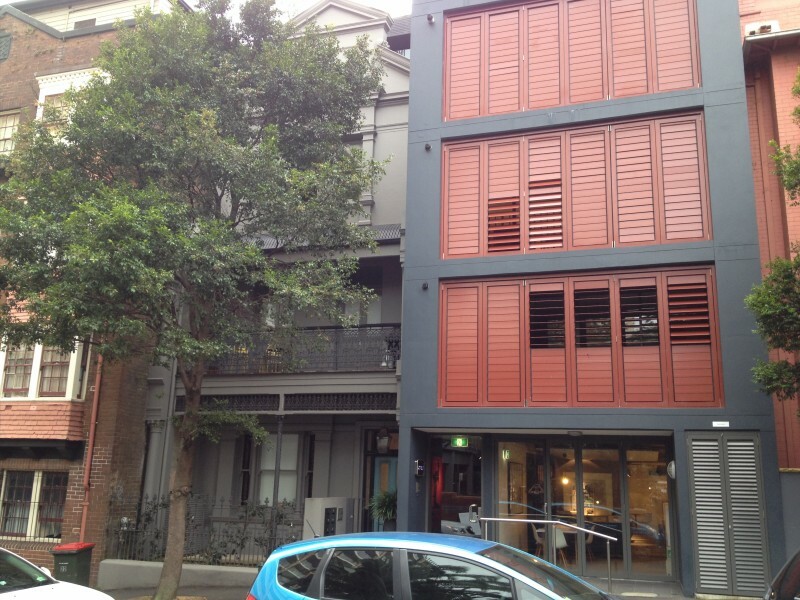 Sydney made me homesick on first sight. Australia was my girlhood dream spawned from a breathless reading of The Thorn Birds. By 12 years old I had sent away for every travel brochure and taped a National Geographic map of the continent to my wall. I researched the aborigines. I knew what a wombat was. My trip there, in March 2014, covered a small amount of ground but was startlingly inspiring. I didn’t imagine I would love it quite as much as I did in my girlhood imagination. I also didn’t realize that most of this love would blossom in a city, Sydney, where wombats do not walk the streets. 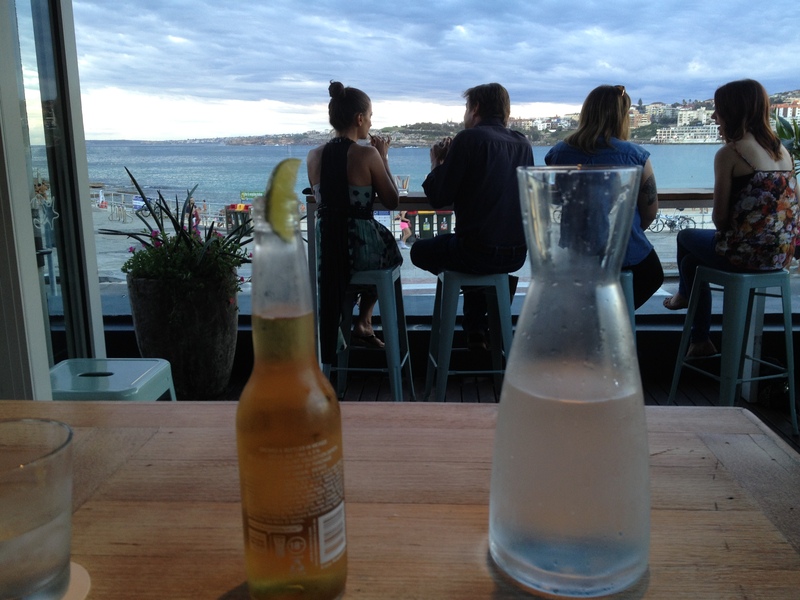 Part of my delight was that Sydney felt so like California. Not necessarily Los Angeles, where I used to live, but an unnamed conglomeration of many beautiful, friendly Californian towns. The other factor that seemed to make these 10 days so unusually special were that I spent them totally alone. My boyfriend couldn’t join me, so what I didn’t photograph lives like a secret in my memory…bright yellow mohawks of wild cocktatoos on the hotel roof; sweating, the frothy schooner I drank over 30 pages of The Clan of the Cave Bear; anticipation at dusk under the Harbour Bridge, waiting for the flying foxes to roost overhead. I had hoped to make it to the Outback on a safari tour, to camp under the stars and see some serious nothingness lit up red under a blue expanse. 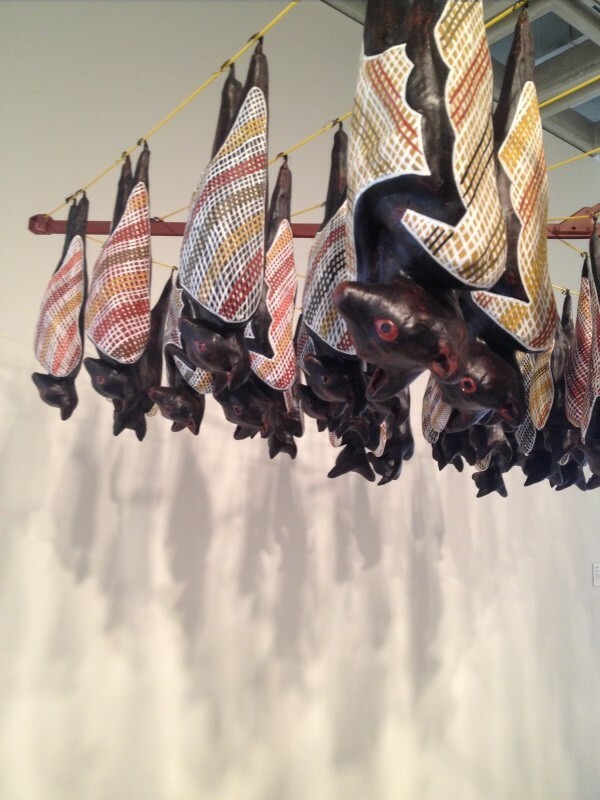 I eventually realized that nothingness would take 12 hours to reach by two trains from Sydney, and the tours seemed to be only day trips to sheep-shearing operations or opal mines. I looked briefly into a hiking tour of the Blue Mountains, near Sydney, but was offered an apartment to myself at the home of some family friends in Queensland. I chose a weekend at the beach over mountains, but am aware there’s a lot left of Australia to go back for. Sydney itself seemed the perfect small metropolis – an Antipodean “San Di-fran-geles, CA”, replete with tanned, happy locals who brunch every weekend at sidewalk cafes. I spent my first two nights in the central business district for work, at an adequate but nondescript Ibis hotel under an overpass. I was quite close to the mainstream tourist offerings of Darling Harbour (Shark Island, Sea Life aquarium, chain restaurants…) but only a jog away from the Botanical Gardens and lovely Art Gallery of New South Wales. Also, I found a surprisingly good Mexican restaurant. As a displaced California ex-pat, it is nearly impossible to turn my back on a good taco. From that base I spent many happy hours wearing out my sandals, criss-crossing the area of boutiques, bookshops and cafes and covering quite a bit of ground. Buses are an easy way to see the city, but you can get pretty far on foot as well. A colleague had tipped me off about the Newtown neighborhood’s collegiate populace and vibrant flea markets. I took a local train there. Nothing really prepared me for the amount of strikingly inexpensive vintage goods. I found myself suddenly burdened by bags of cheap treasures I couldn’t refuse. I bought a 1920s winter coat for AUD 15 and carried it around for the next week of 85-degree weather. 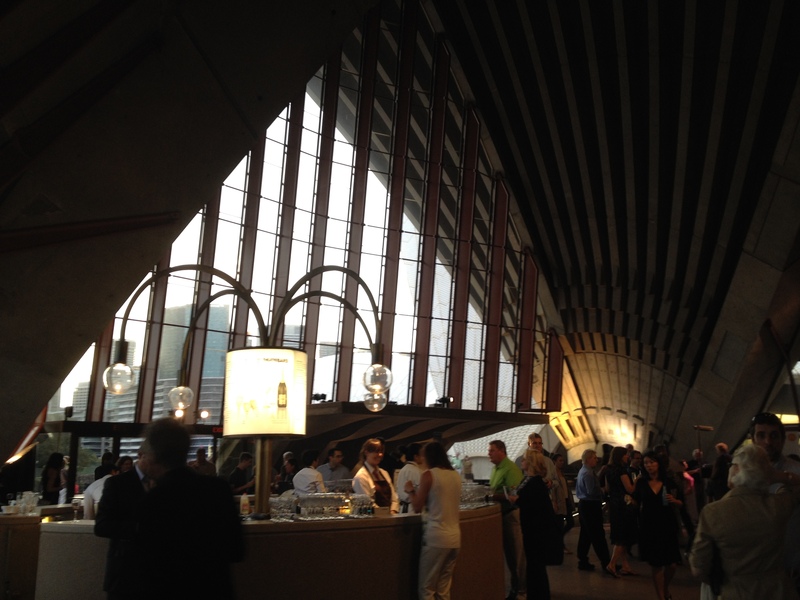 Chances are good for a single traveller to purchase a last-minute ticket to the Sydney Opera House. I went to the box office at 1 pm and got a standing-room ticket for AUD 25. That evening I walked from my hotel through the high streets of Potts Point, down to the Woolloomooloo waterfront, through the Botanical Gardens, all the way to the tip of the peninsula where the opera house sits in the Sydney Harbour. After the first five minutes of “Carmen” the usher let me and five others sit in empty seats. Dressed up, alone, in this iconic landmark of the Southern Hemisphere, my first taste of opera was rapturous. 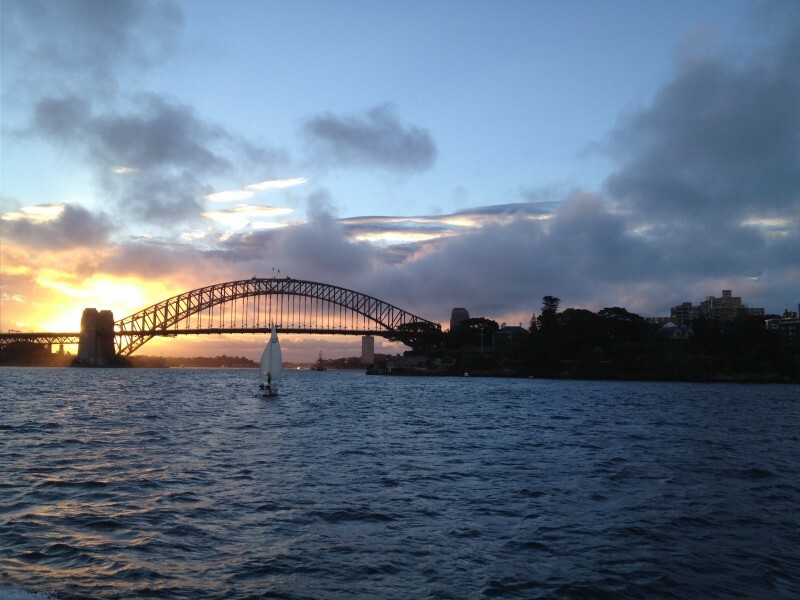 The next day I returned to Sydney Harbour and bought a ferry ticket to Manly Island. You can reach the island by cruise boats, but the hour-long ferry journey is just as picturesque and a fraction of the cost. We sailed out of the harbour at noon and my bare feet joined 12 pairs of others stretched out on the boat rails in full sunshine. We passed a sailboat race and the colorful entrance to Luna Park on the other shore. The water glittered past my feet and I lazed in the sunny breeze. A couple of hours was all I needed to see this mostly residential island of Sydney. It has a bounty of shops, mostly selling surf- and beach-wear. I spent most of the afternoon lounging in the open-air top deck of a bar. I didn’t bother with the beach; I was headed for the endless Queensland beaches the next day, then checking into Sydney’s best beach neighborhood on my return. 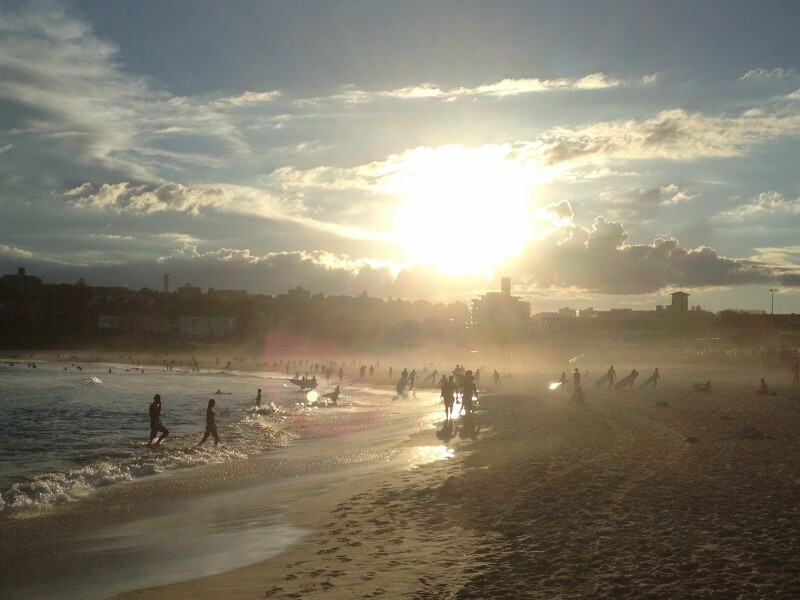 Bondi Beach, on Sydney’s northern coast, is well known for a few reasons. “Bondi Rescue” TV viewers thrill to watch its lifeguards rescue idiot after hapless idiot sucked into the undertow of the no-swim zone. Almost all day you can see the live camera crew follows the heroes around the sand. The beach is busy but not overcrowded, and surfers can find waves from right there, a hundred yards from the main street with its seafood restaurants and shops. On either side of the beach is a swimming club, of which Sydney has several. Their outdoor pools are carved out to isolate the ocean water and give members a safe space to swim. 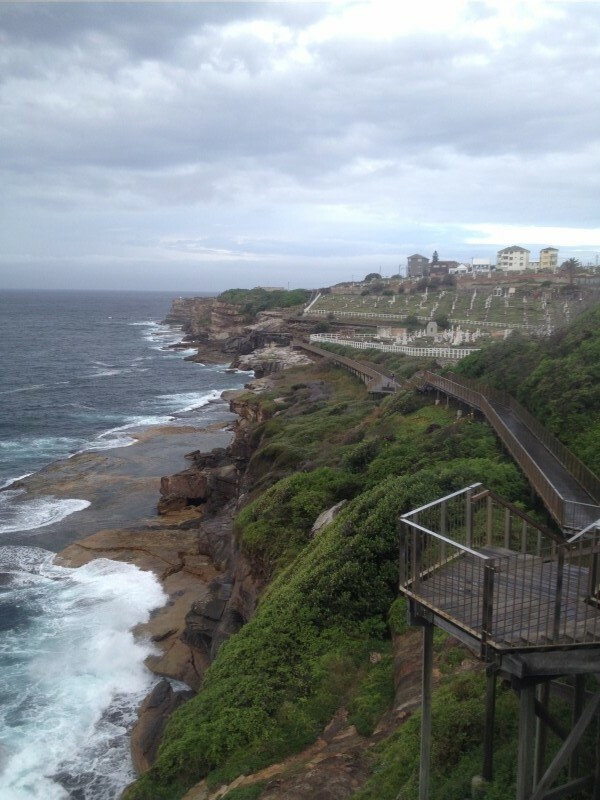 I ran north one morning from Bondi Beach, along the famous Bondi-to-Bronte coastal path. It’s meant for walkers and there are some steep stairs, but its twists and steep ascents are beautiful excuses to stop and gape. The ocean ploughs into the rocks beneath you. The vistas show off Sydney’s coastline—incredibly picturesque in a raw natural way, and bordering a major city. The path was sparsley populated at 8 am. 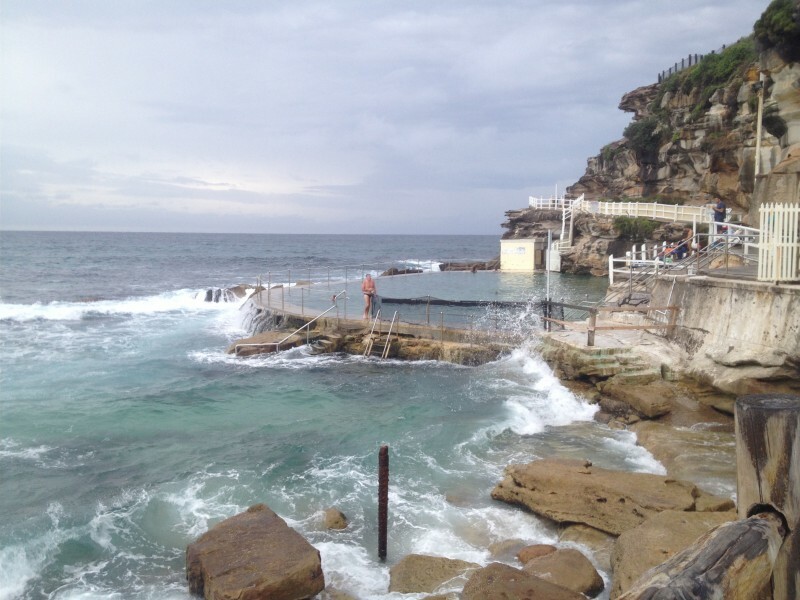 I reached Bronte Beach in about half an hour, and headed back the same breathtaking way. California is separated from Sydney by 7,500 miles, but my Australian trip stirred up a lot of fuzzy feelings Cali used to give me. It’s hard not to be charmed by so much sunshine, and by the people who spend their lives in such a place…they’re just so happy. They talk to strangers. They smile in public. They make city life look relaxed and bearable because no matter how hard a day can be, a miraculous sunset over the water is just hours away. 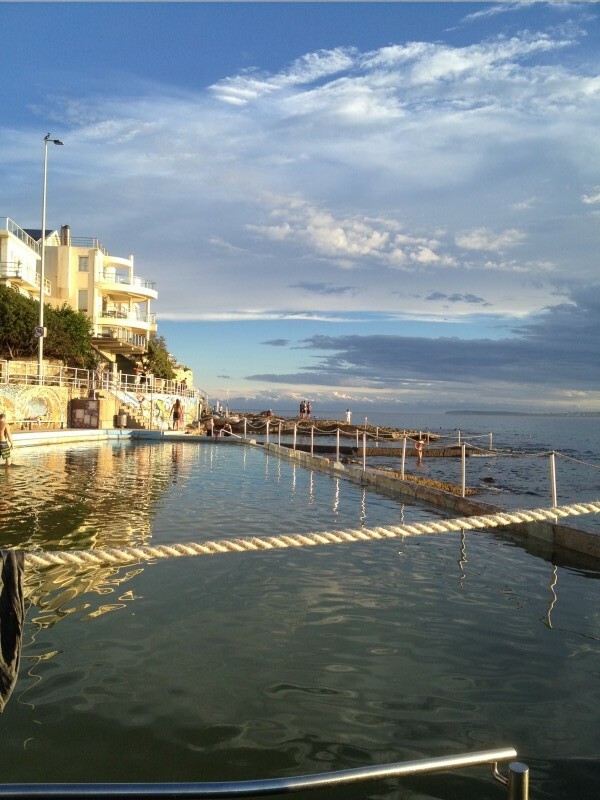 This entry was posted in Travel and tagged Australia solo travel, Bondi Beach, Newtown, Sydney solo travel, sydney tips, Sydney vintage by aquixie. Bookmark the permalink.